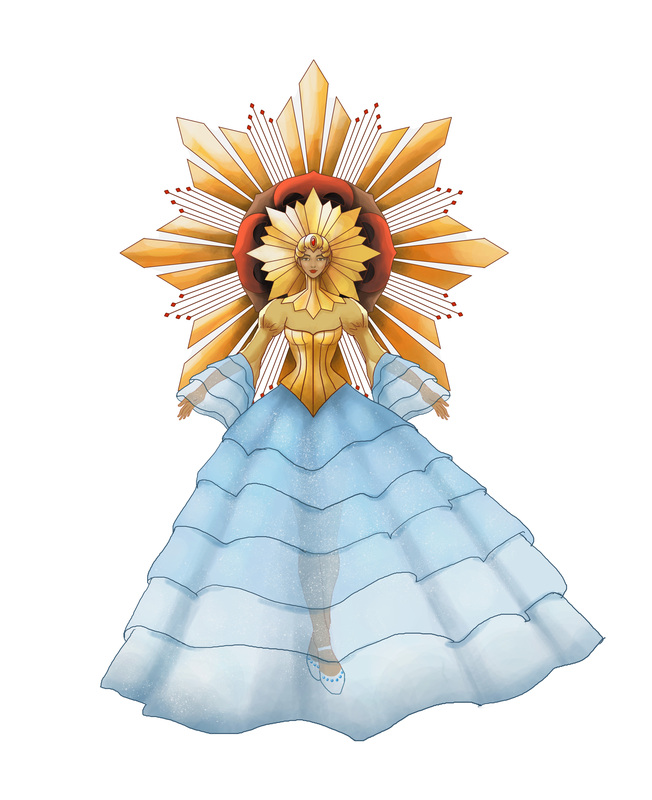 This costume design is inspired by the sun and sea. The sun gives us light and life; it is also a symbol found in the Philippine flag. The sun also embodies warmth and limitless energy. The skirt is wavy, to produce a water like motion while the queen is dancing. The sleeves also include similar material to simulate waves while in motion. Some parts of the gown is semi transparent, to show the nature of light and water regarding its purity. It emphasizes the dancer’s hands and feet movements. 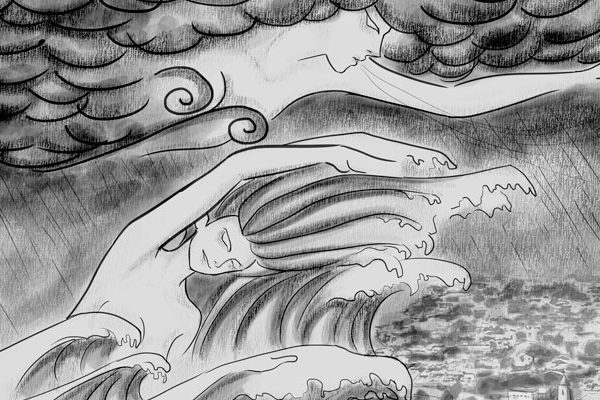 The concept of the sea is further strengthened in this design due to the etymology of Sinulog that comes from the root word sulog which means the current or flow of water. The design is structured concentrating on solid shapes to produce a bold statement even when seen from a distance, where finer details cannot be noticed. I would personally say that this is a Paganistic approach to contrast a Catholic themed festival.